Today, while I was sitting at my computer overlooking the backyard, I began listing my New Year’s resolutions and right smack in the middle of the process, an armadillo appeared beside the upside-down bird bath. It was 9 a.m., and he should have been asleep in the coulee, but appeared to be fully alert, rooting in the mound of leaves by the Spirea bush. 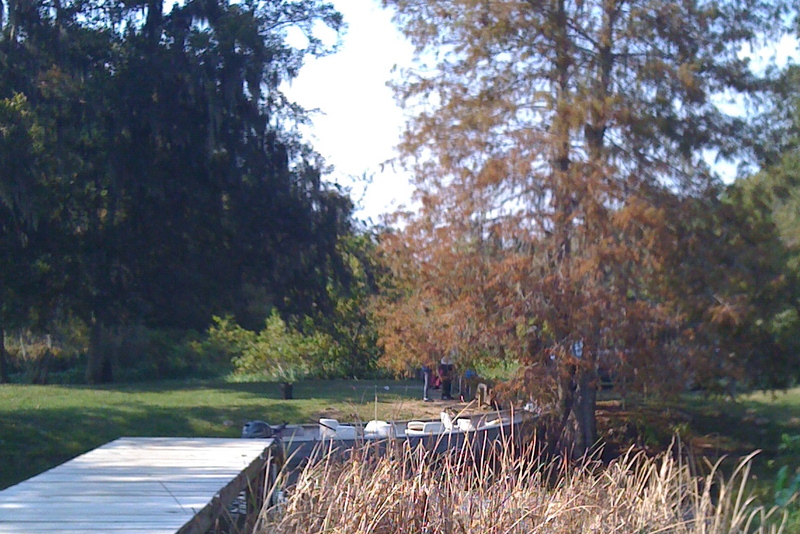 He was fat and seemed to be tanking up for another month, as February frequently brings Spring to Teche country. I tapped on the window, but he was undeterred and kept on tunneling in the leaves. “He can’t hear,” a friend told me. Actually, I can hear many things, including a constant buzzing sound like that of locusts (which indicates some loss). “But I can also swim well like armadillos,” I defended. She shrugged and went back to surfing The Net for more interesting activity, like how to develop “MAC apps,” whatever that means. According to an article about Native American lore, written by Jill Stefko, armadillos symbolize boundaries. The three-banded ones are very adept at rolling into a tight ball to protect themselves. They carry their protection at all times and use it to keep their well-being intact. Rudyard Kipling immortalized the armadillo in one of his children’s stories, relating that the “little armored one” was born out of an agreement between a turtle and a hedgehog. In order to escape from a hungry Jaguar, the hedgehog taught the turtle how to curl up into a ball to protect himself, and the turtle taught the hedgehog how to act like it was more armored. So the first two armadillos that appeared on earth caused a predatory big cat to become awfully confused. According to the article I read about armadillos, they symbolize empathy, discrimination, and groundedness. Also, when an armadillo enters your backyard, it’s time to define your space. I guess that the appearance of this animal in the New Year means it’s time for me to define my own space, especially since I have difficulty saying no. The best story I’ve read about the armadillo concerns The Great Depression when the little animals were renamed “Hoover Hogs” because starving people hunted and ate them. During the Depression, my former father-in-law hunted these creatures from an old Model T. He saved gasoline, not to make highway trips, but to speed through the woods, car motor roaring, the noise rooting out rabbits and armadillos. The nickname, “Hoover Hog” was a criticism of President Hoover who had promised that everyone would have a chicken in every pot and a car in every garage. However, a sizable portion of the U.S. population suffered starvation and poverty instead. Around here during the 70’s, if a person sighted an armadillo in the yard, he’d call an organization called Gulf South Research, about a mile away from my home, because scientists were using them as guinea pigs for leprosy research. Two lab technicians came and took away one in my backyard during that period, but now I just leave the big rats to their boundaries and write poetry about their activities when they appear. Happy New Year. 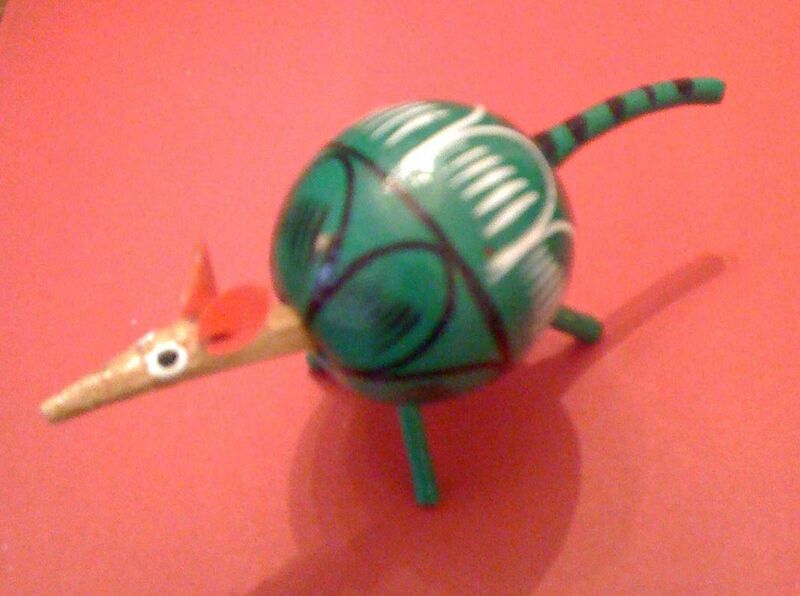 May an armadillo protect you during the coming year! P.S. I purchased the facsimile of the armadillo above in Oaxaca City, Mexico. It was carved by native Zapotecans. As Val Smythe lectures to her class in Evolutionary Biology at a university in Vermilion, Louisiana, she suddenly recognizes that polyploidy characteristics in Eupatorium, the plant subject of her scientific research, resemble those of an extremely tall, brilliant six-year old child named Mary Solven who was left on Val’s doorstep when Mary's mother dies. The “aha” moment occurs as Val is explaining to her class: “Polyploidy has its advantages, despite the inability to sexually reproduce. For instance, polyploids are larger, reproduce by cloning at an early age, tolerate colder temperatures and endure environmental stress. Taller, mature earlier…what had she left out? Mary Solven, the superhuman in Sullivan’s fantastical novel, ADOPTION, is seven feet tall and already conversant in several languages. Due to the death of Mary’s mother, Erika, Val, and her husband David have been forced to adopt the child, but Val has misgivings about raising a human with such bizarre differences in height, mind, and strength. The major antagonist of the novel, Dr. Solven, has created a new race of superhumans who frighten government officials and clergy, and these factions condemn and plot to eradicate the new creatures produced in the U.S., Russia, and Korea. The polyploid humans are forced to live on a reservation called “Polysomia”, and women are subjected to mass hysterectomies so that they can’t further propagate members of the strange race. Shortly after Mary falls in love with another polyploid, Jon, Dr. Solven is murdered. Mary marries Jon in an illegal ceremony, and David barely escapes jail when he forges birth certificates. Widespread hatred burgeons when the corpulent priest, Fr.Landry, stirs the emotions of diploids who listen to his sermons and radio broadcasts. Sullivan masterfully creates suspense by relating the persecutions of the unique superhumans, and the threat of extinction occurs. The surprise ending of this fantastical novel contains only two words and will intrigue readers, perhaps to the point of requesting a sequel? Sullivan has created a suspenseful novel that poses profound questions about the boundaries of science and which reveals insights into the world of human differences. 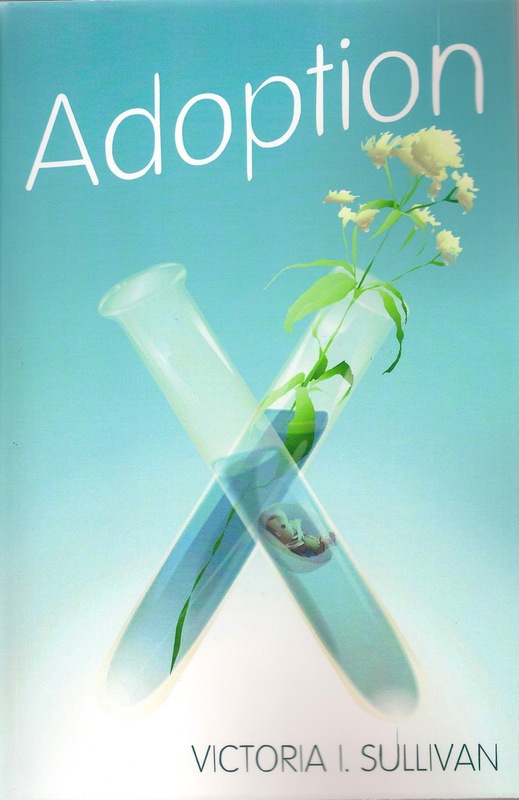 ADOPTION is an excellent read that reflects the mind of a highly-enlightened scientist and an imaginative creative writer. Sullivan received a B.A. from the University of Miami and a Ph.D. from Florida State University. She has published numerous scientific papers, non-fiction articles, flash fiction, and poetry. 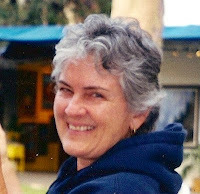 She taught biology and botany as an associate professor in the Department of Biology at ULL in Lafayette for 20 years. ADOPTION is her first novel. She resides in Sewanee, Tennessee most of the year and in New Iberia, Louisiana during the winter. ADOPTION can be ordered from www. Pinyon-Publishing.com. My godmother, Dora Greenlaw Peacock, once told me that of all the things that enraged her, machines and inanimate objects were the worst offenders. Although she is now deceased, I agree with her completely. I have difficulty with power-driven can openers, computers, vacuum cleaners, and directions for putting together mechanical models of anything. My knowledge about the mechanics of cars tops the list, especially when they don’t live up to the manufacturer’s hyperbole about their mechanical brilliance… and break down. Today is the second day I’ve been unable to go to the grocery, to the post office; in general, to make the round of errands necessary to maintain a household. My 2005 model Honda Hybrid Civic, with only 30,000 miles calibrated on the dash, has developed an AC/defogger clanking noise, and mechanics are now experiencing difficulty correcting the problem. So far, the tally on costs, including a new condenser, is at about $1550, and the heavy silence of the telephone indicates that there may be more trouble ahead. In the last year, I’ve had three sets of tires (because something is wrong with the suspension), a rack and pinion job, and, now, the AC has up and died. As a long-time Honda driver, (having owned at least six Hondas, beginning in 1978) I’ve become disillusioned with the much-touted “200,000 or more miles” predictions about Honda reliability. And let me add, that I’m a devout follower of regular oil and filter changes, battery upkeep, and all the maintenance required to keep a NORMAL car running. Of course, readers can’t do anything about this problem, except to avoid buying one of these little models that are capable of causing blood pressure rises, more-than-average maintenance costs, and to top it all, this Hybrid offers the drivers and passengers a rough ride. This morning, I am sitting here, googling sites with 1941 Ford coupes just to assure myself that people in this country once enjoyed traveling in a reliable automobile, sans computer parts. In 1940 and 1941, Ford Motor Company, produced some enduring and endearing automobiles. I’ve often spoken of making the famous Diddy Wah Diddy trek across the western plains to California in a 1941 Ford coupe that was large enough to house two adults, four children (I was 11 at the time), and a cocker spaniel dog – a Ford that climbed mountains, crossed deserts with just a few saddle bags on its hood to keep the motor cool and which was still in its prime when my father traded it in in 1949 after the box-styled Ford came out, and he wanted to own a fashionable model. I can’t remember my father ever taking the old coupe in for repairs or using the kind of language I used this morning when I was primed to go after groceries and the Honda Hybrid remained in the shop. My Grandfather Paul Greenlaw sold Ford autos from the days of the Tin Lizzie until 1946 when the deluxe Fords appeared after a hiatus in production during WWII. He employed only two mechanics that I know of, and they weren’t terribly busy most of the time. He bought a 1946 Ford for my grandmother, and she drove it 11 years, trading it off for a Chevrolet, not because her Ford had anything wrong with it, but because she wanted an automatic shift (she was the world’s first class bucking bronco when she used her skills shifting the car) and because Ford had snatched the franchise away from my Grandfather Paul when he became seriously ill. A Chevy was her coup de grace! I really love cars – I like to keep up with all the new models, attend car shows of classic models, admire those that pass me on the road, and appreciate the fact that my grandfather and Great Uncle Ed were pioneers in the field of transportation. Great Uncle Ed designed and put together one of the first recreation vehicles by placing an improvised camping house on the back of a Ford truck. He called it the “Virgi-Dora” after his wife and my godmother Dora, and they enjoyed many camp-outs, using this contraption to travel to camping grounds in Mississippi where the Greenlaw boys were born. Last year, in my household, we scaled down to one vehicle, thinking that, in the interests of helping the economy, a 2005 model with only 30,000 miles would prove to be a virtuous scale-down, and by using only one vehicle, we’d contribute to the diminishment of air pollution. I chose the Hybrid in 2005 because I wanted to do my part toward reducing gas consumption. Alas, I made an unwise decision because $4,000 a year on car maintenance is not a way of reducing consumer spending. Yes, I love cars, but I wish I had shopped more carefully before investing in this last one, which I told my children would be my last car (I am now 76). I've now amended that statement to declare that it will be my last Honda. From the articles I’ve been reading, Ford has really cleaned up its act and is now producing some first rate economy cars. I’d buy a re-conditioned ’41 Ford, but the models I’ve seen on the Net are slightly under $50,000! 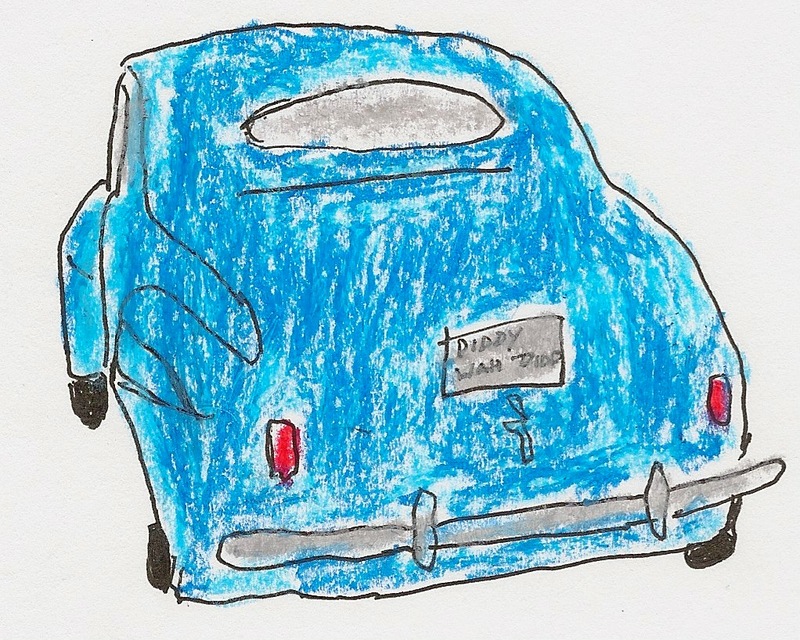 That sky blue Diddy Wah Diddy ’41 coupe was an enduring machine! P.S. I just read that the Japanese will cease producing Honda Civics in Japan because they don’t sell well there. I wonder why! Monday of this week we joined author Morris Raphael, his wife Helen, and daughter Rose Anne at Antique Rose Ville near New Iberia, to celebrate the occasion of Morris completing the first draft of his book containing Civil War vignettes. Publication of the new book will coincide with the Sesquicentennial of the Civil War in April, 2011, but the holidays presented a chance for us to meet with the Raphaels for a book celebration at our annual Christmas get-together. Antique Rose Ville is one of those unique dining experiences prevalent in Cajun Country, and proprietor, Linda Freyou, is equally unique. The restaurant and tea room, known as the Renoudet Cottage, was a home once owned by the Picard family, and later by William Weeks II (son of David Weeks, who built the famous National Trust property, Shadows-on-the-Teche in New Iberia). The cottage was moved in 1995 from St. Peter Street to Freyou Road and restored by Linda and Simon Freyou. The restaurant, surrounded by cypress trees, irises, fresh herb plots, and the antique roses for which it is famous, sits alongside "Anastasia," an early 20th century home which the Freyous moved fifty miles by barge down the Intracoastal Canal from Berwick, Louisiana. Antique Rose Ville, and the four acres of carefully groomed gardens are complemented by an open pavilion area behind the Renoudet Cottage and Au Jardin which accommodates large groups for wedding receptions, retreats, and other occasions. Linda is devoted to her family and waited until her children were out of the nest before she began working on her college degree in music education at ULL. She excelled in Voice and won a national voice competition held at ULL while studying there. After Linda discovered that Morris’s daughter Rose Anne sings, she asked her to perform for us. Rose Anne studies voice and has often sung a capella for us on Christmas occasions. She stood in front of the fireplace and sang a beautifully-rendered excerpt from a German opera. When she finished, we asked Linda to perform, and she said, “I have a big voice so I’ll have to go into the next room to sing.” She entered the adjoining room and stood, hands folded, in the far end of the room. We had no notion that we’d hear the gifted and finely-trained operatic voice that suddenly filled two rooms with jubilant sounds. She sang two versions of “Ave Maria” -- one from Bach and another from Schubert, followed by several arias and a rendition of “O Mio Babbino Caro” from Puccini. It was an amazing professional performance from an amazing woman who told us as we left: “if you have a gift, you’d better use it, or one day you’ll have to answer for not using it.” Linda still uses her gift by singing at church functions, in community musicals, and for people like us who ask her to perform. 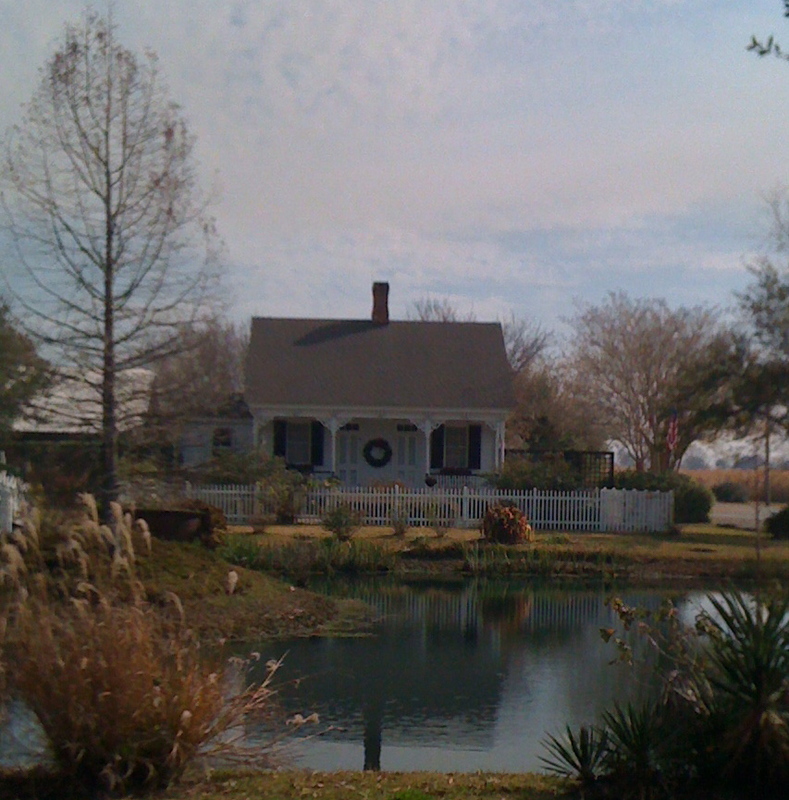 Life in Teche Country, Louisiana is never dull, nor will you ever eat finer cuisine than the food you’ll find most anywhere in Acadiana… not to mention the serendipity in the form of professional entertainment you may discover “right in the middle of a cane field,” as Linda laughingly describes the locale of her fine dining restaurant, Antique Rose Ville. Saturday evening, we were guests at Belmont Plantation where we joined in a celebration honoring Guy Estes who recently received an M.A. in History from the University of Louisiana at Lafayette. Guy is the son of Mary Wyche Estes who presently lives at Belmont, a shady Bayou Teche plantation home near New Iberia. 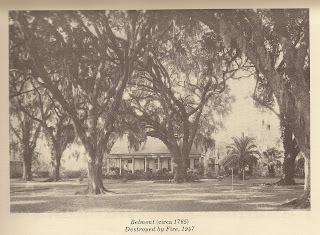 Belmont (circa 1765) has been in the Wyche family since 1858 when the old plantation was given to John and Mary Peebles Wyche as a wedding gift from Mary Peebles’ parents. During the early 19th century, the Peebles family owned plantations in several states, including Alabama, Mississippi, Kentucky, and in Louisiana where Belmont and Peebles plantations were located. I hadn’t visited Belmont in several years, and the reunion with the Wyche family and their relatives brought memories of those days when James Wyche, Jr. (now deceased) hosted his evening “Happy Hour” on the long front gallery under the umbrella of huge great-grandfather oaks. After a fire destroyed the original home at Belmont in 1947, the residence was rebuilt of cinder block, maintaining the style of architecture of the original home. Arleen Wyche (also deceased) severely burned her feet when the fire occurred as she went back into the blazing residence to retrieve the family silver. Belmont is a beautifully-appointed home guarded by an old bell tower which housed a bell, the rope of which Frieda, Big Jimmy’s dog, held in her teeth and pulled to ring in the 4th of July. During Happy Hours, we enjoyed conversations with “Big Jimmy,” (as James Wyche, Jr. was called), his wife Arleen, his sister Julia and his daughter Mary. The gathering always included other drop-ins who were thirsty for drinks and conversation. I recall sipping the strong, sugary mint juleps Big Jimmy had prepared for us while we listened to his passionate rhetoric about the political arena in Louisiana and the U.S. Big Jimmy was also known as the “Letters to the Editor man” because he wrote letters to the editor of The Daily Iberian, treating readers to a conservative’s view of the world. He composed these fiery letters, while wearing a visor that fit tightly on his crew cut, in an old cistern house that he had converted into an office. Big Jimmy’s political rhetoric wasn’t the only conversation that took place on the old gallery. We often heard anecdotes about the history of Belmont, some of which appeared in articles of the Louisiana Courier. Several 1813 issues of this journal told about the plantation having a water-powered, double mill sugar factory capable of serving two series of kettles and also as a distillery for making rum. Big Jimmy always claimed that this bit of history probably offended some of his teetotaling ancestry, but these facts didn’t deter him from hosting his Happy Hours on the gallery. Wyche’s great-grandfather Peebles survived the Civil War by gathering up his womenfolk, a handful of possessions, and a few faithful servants and joining a wagon train to Texas. By the time the “late great unpleasantness” had ended, the family had raised two bumper crops of cotton. The women sewed the profits in gold into their petticoats and headed back to Louisiana to pay the taxes on Belmont Plantation. These smuggled gold coins saved the ravaged plantation from being confiscated. Big Jimmy also recorded the rainfall at Belmont daily for over 40 years for the U.S. Weather Bureau. He used to say that he gauged “God’s rainfall and man’s downfall.” In addition to this weather reporting, he recorded his conservative political views in a self-published book containing his letters to The Daily Iberian and another pamphlet including his memoirs about Belmont Plantation. Mary Estes, Big Jimmy’s daughter, his son “Little Jimmy,” and his grandson Guy Estes have also published novels, and Mary continues to work on a manuscript that fictionalizes the history of her ancestors and chronicles the Civil War adventures of her family. Here was a woman faced with a mystery that was beyond her understanding, yet she welcomed her role by answering a divine call. The Gospel of Luke gives us the song of Mary making it into a prayer or a psalm of thanksgiving, where she sings of the new event. She is exemplified as this woman who is snatched by God from attacks of the serpent (we remember all the statues of Mary, dressed in blue, standing on the head of a serpent), and because of her faith is proclaimed as blessed because she bore Jesus in her womb. Mary is called “the daughter of Zion,” and is the personification of the people of God. In the Magnificat, she raises her voice in gratitude and joy for being crowned with favor. she is dressed in the flowing robes queens on this earth wear. a silken embroidered fullness to cover nakedness in a land of goats. But, she may have dreamed nothing. A quiet fish in her belly swam. IN ORDINARY LIGHT by Darrell Bourque can be ordered from the University of Louisiana at Lafayette Press, P.O. Box 40831, Lafayette, LA 70504-0831. When my daughter Elizabeth comes from California for a visit (the one who got the supply of fig preserves), she reads my shelves for unique cookbooks and usually takes away at least one volume that will increase her knowledge of south Louisiana cuisine. Yesterday, I passed on to her a small volume, published in 1932 and reprinted in 1960, entitled NEW ORLEANS CREOLE RECIPES by Mary Moore Bremer of Waveland, Mississippi. The volume had been passed on to me by my mother who loved cooking New Orleans cuisine. Some of the unique dishes include green turtle soup, Crawfish Bisque, Gumbo Z’Herbes… even a recipe for Red Rice concocted of onions, salt and cayenne combined with steamed rice and on which paprika is sprinkled. 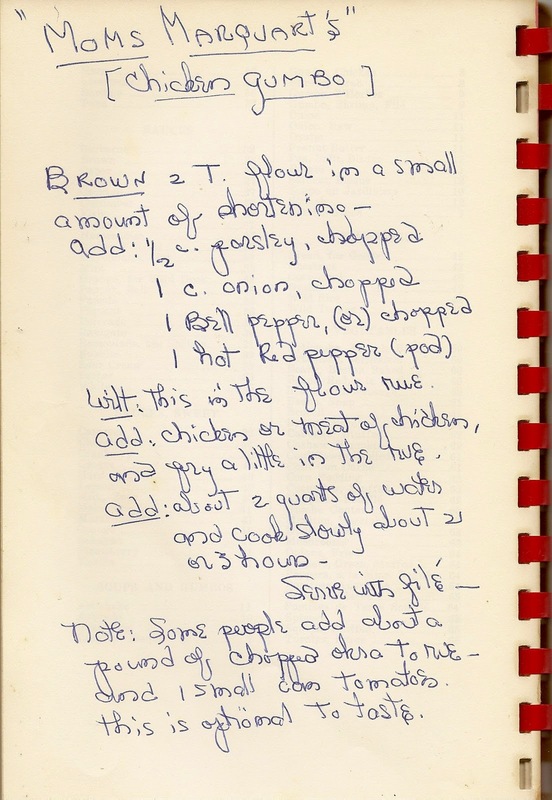 The real piece de resistance, however, was the recipe for Chicken Gumbo, written on the last blank page in my mother’s distinctive half script/half printing handwriting. It was a recipe from my Grandmother Marquart’s kitchen files. She used a whole pod of hot red pepper in her gumbos, and most of the table fare in Lake Arthur, Louisiana included Cajun seafood dishes, as she was a descendant of the Vincent family which migrated to south Louisiana following the Grand Derangement. A GRACIOUS PLENTY OF FIGS! Have you ever heard the phrase: “I don’t care a fig about that,” which means that something or someone is not important to you? Well, yesterday, I received some products that showed just the antithesis of that remark when two good friends gifted me with a gracious plenty of fig preserves. In my last blog I mentioned that I had searched for a jar of fig preserves for my daughter Elizabeth to take back to California. Instead, I had found an interesting tourist in the Konriko country store, a visitor from Maine who lived in the same town I inhabited back in the 50’s. I also searched other stores for the delectable preserves, only to return home empty-handed. The day after that blog appeared, I received an e-mail from friends, Mac and Julie Stearns, inviting me over to claim a jar from the store of fig preserves Julie had put up this year. We had a great visit, and Julie gave me a list of directions that told me how to keep fig trees bearing well. The list was created by Roy Young of Abbeville, and Mac directs the process according to these directions every year. He’s also the principal picker of this delicious fruit. For years I tried to grow a fig tree and always ended up with a dry, gray twig and no crop. 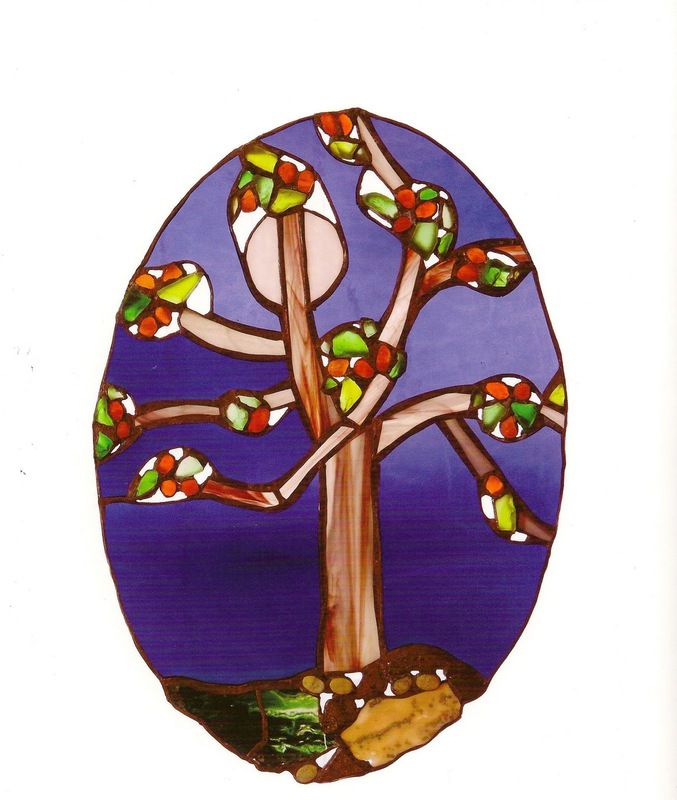 One day as I read a passage from Luke, I came upon the parable of the barren fig tree in Luke 13: “Then he told the parable: A man had a fig tree planted in his vineyard and he came looking for fruit on it and found none. So he said to the gardener, ‘See here! For three years, I have come looking for fruit on this fig tree and still I find none. Cut it down! Why should it be wasting the soil?’ He replied, ‘Sir, let it alone for one more year, until I dig around it and put manure on it. 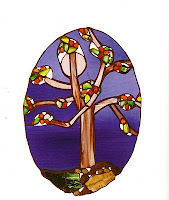 If it bears fruit next year, well and good, but if not, you cut it down.’” Voila! 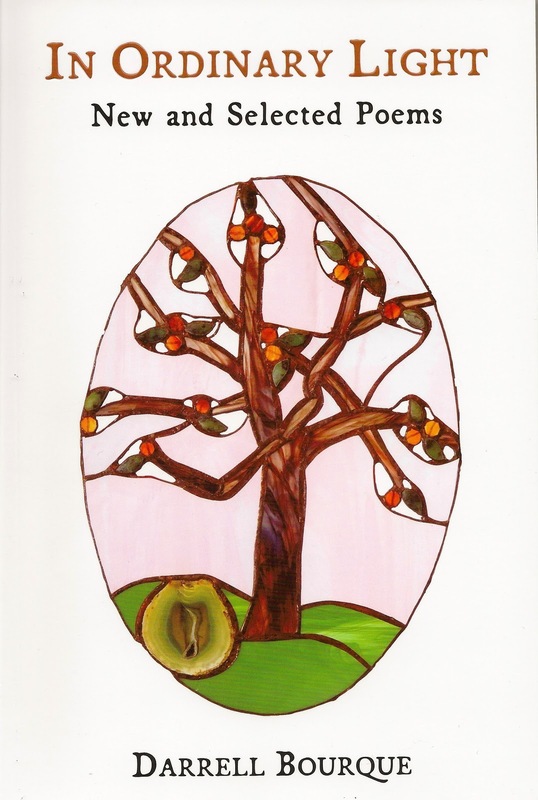 The New Testament had enlightened me about a practical method of growing fruit, and the last tree I planted and carefully fertilized began to bear. In fact, the tree is taking over a corner of the backyard in New Iberia. Since I’m away at Sewanee during its fruit bearing period, the birds enjoy a fig festival every year and I get no fig preserves! When I returned home from the visit with the Stearns, I found a car in my drive and another friend, Nancy Lewis, had just deposited three jars of homemade fig preserves and a jar of pear preserves on my doorstep. Needless to say, I’m overwhelmed with responses to my blog, and Elizabeth is taking a box of carefully-packed preserves back to Palmdale, her home in the California desert. Although fig trees were first cultivated in the Mediterranean, they flourished in the New World in Mexico during the 16th century, and by the 17th century, varieties had begun to grow in Virginia. From Virginia, the so-called “fig culture” took hold in the Carolinas, Florida, Alabama, Mississippi, Georgia, Louisiana, and Texas. Mac says that the varieties that flourish in their yard are the pear shaped “Celeste” variety, the fruit of which has white or pink/amber pulp and wonderful flavors, and the “Brown Turkey” variety which has no neck, is copper colored, and has pulp that is white and pinkish. I didn’t have time to question Nancy about the source of her supply, but the preserves looked like good biscuit toppers to me. There’re several good fig preserve recipes, old fashioned and otherwise, on the Internet, but essentially all you need to concoct jars of fig preserves are figs, sugar, and lemon. Julie says she cooks them by the old fashioned way: “a clump of this and a clump of that.” And, folks, some recipes use six pounds of sugar to six pounds of figs. You can judge about how many inches will be added to your waistline if you feast on biscuits and figs every morning for a few months. I’m including a picture of the fig picker, Mac, and the fig preserver, Julie, resting from their backyard labors in the fig garden. Thanks to Mac, Julie, and Nancy, for the gracious plenty of fig preserves. Elizabeth says it’s the ultimate Christmas gift! The main event yesterday was a trip to Konriko’s Company Store, a shop next door to the Conrad Rice Mill, which has been in operation for 90 years and is a draw for tourists from throughout the country. I had set out to find fig preserves for Elizabeth, my youngest daughter who is visiting with me, to take back to California. She has loved this biscuit topper since childhood, and every year for almost twenty years now, I have been able to find the syrupy preserves here in New Iberia. The fig crop must have been a scant one this year because Konriko had none of the wonderful preserves on their shelves. No preserves…but I experienced an unusual surprise as I left the store. When the clerk asked my friend Vickie where she lived, she was startled to hear a voice behind her say, “We’re from Maine.” I had already begun walking out of the store, and when Vickie caught up with me, she volunteered that the gray-haired woman who had thought the clerk was questioning her, lived in Maine. I had reached the top step of the porch when a strong intuition prompted me to turn around and re-enter the store. I walked up to the woman, who was still standing before the cash register, and blurted out, “You’re from Maine? Where abouts?” She seemed puzzled by my outburst but answered, “Aroostook County, Limestone, Maine.” I looked at her in amazement. “I lived there over fifty years ago,” I told her. We enjoyed mutual surprise and calculated that she had graduated from high school in Limestone at the time my former husband and I moved there. My husband served as an intelligence specialist attached to a Strategic Air Command at Loring Air Base in Limestone and spent most of his days in a radar shack scanning the skies for enemy planes. Mrs. Thompson knew my landlord and the exact location of the farmhouse in which we had lived and which has been demolished, along with all the old frame houses in the neighborhood where the farmhouse stood. Sadly, the airbase is no longer a part of the town and its removal has added to the diminished economy in the area. “We no longer have a Main Street, but we’re working on it,” Mrs. Thompson told me. “And our winters are not as severe.” When I asked about the lowest temps of winters there now, she replied “only 30 degrees below zero,” which is a definite warm-up from the 52 below zero temperature we experienced one winter night in 1954. The snow cleared from roads around Limestone still reaches the height of telephone poles along major highways (a fact that caused my southern relatives to look at me as if I was fabricating a tall tale). Mrs. Thompson introduced me to her daughter and to another relative who opened his top shirt to reveal a t-shirt advertising Limestone, Maine, along with a list of the inhabitants: 2,000 people, over 800 deer, and bears and muskrats in two-digit ranges. “I wondered why I put on this shirt today,” the man told me, “but it seems it was for your benefit.” I explained to him that it had just been one of those synchronistic events, a Maine Event! I wished mightily that I had put copies of my books in the trunk of the car (which seems to be the best way to sell books anymore), but I did give them my name and the title of my book about the Limestone sojourn entitled THE MAINE EVENT. This morning, I revisited the book and am including an excerpt from the mystery I wrote about this small town located at the furthest tip of Maine on the Canadian border. It was published by Border Press last year. THE MAINE EVENT can be ordered through Border Press, P.O. Box 3124, Sewanee, Tennessee, 37375 (http://borderpressbooks.com/) or at http://www.amazon.com/. As we crossed the Atchafalaya Basin Thanksgiving Day, I again thought about Greg Guirard, one of Acadiana’s premier photographers and writers about the people and scenery of the Basin. I’ve only visited with Greg three times during my forty-six years in New Iberia, but I hear about him often through one of his many friends, Janet Faulk. 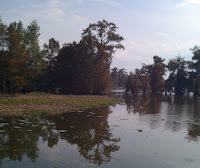 Janet, author of ROAD HOME , is the friend who told me about the publication of ATCHAFALAYA AUTUMN II , which is a revision and expansion of ATCHAFALAYA AUTUMN . It’s Greg’s seventh book about the people, wildlife and scenery of the Basin. The book contains 250 color photographs, and the text is written by Greg and thirteen other writers who recorded their viewpoints about the Basin. In advertising ATCHAFALAYA II, Greg makes a pitch for the "restoration of the environmental health and productivity of the largest river basin swamp system in the U.S."
I met Greg Guirard in 1984 when he was marketing his SEASONS OF LIGHT IN THE ATCHALAFAYA BASIN at a small festival in Washington, Louisiana. After leafing through the coffee table-sized book, I bought a copy because I recognized that he was an outstanding photographer of the Basin world, and I liked the quotations from William Faulkner that the book included and which, oddly enough, fit the theme of SEASONS OF LIGHT. Greg appeared to be an unassuming kind of man whose wife did most of the touting of the book as we stood there on a warm December day, admiring the color photographs of what he referred to as the "ruined woods" of the Atchafalaya. In the book, Greg includes a comment that photographs in the book were taken without the aid of filters or with any dark room manipulations, adding a caveat that on occasion, he had cheated for the sake of beauty by using a process of underexposure. Greg has many friends in the art and writing world, but he’s also noted for helping people in need wherever he travels, which could be North Carolina, Oregon, Costa Rica, Belize, and, of course, in his beloved Basin. His good friend, writer Rheta Johnson , who is a columnist for King Features Syndicate, describes him as the “most truly democratic soul” she has ever encountered. This morning, when I called Janet about Greg’s latest book, she said he had enjoyed supper with the composer and musician, Philip Glass, last night. Tomorrow he may be visiting with one of the numerous swamp friends he meets when he’s out on the water, photographing cypress trees, Spanish moss, black willow… While negotiating the swamp, he’s probably worrying about the future of the Atchafalaya and whether its waters will become too polluted to yield edible seafood or whether it’ll no longer be a wilderness and people who come out to visit him will have to look for wilderness solitude somewhere else. In SEASONS OF LIGHT IN THE ATCHAFALAYA BASIN , Greg treats readers to a list of exotic names that give him enjoyment: Red-eye Swamp, Whiskey Bay, Lost Lake, Bloody Bayou. Little Devil Cut, etc. He also describes an incident in which he and his former wife, Bubbles, were hit by birdshot from a woodcock hunter who couldn’t wait for them to go by before shooting. However, he labels this mishap as an isolated incident and still believes in the essential goodness of Basin hunters and fishermen. To him, the Basin is as natural and beautiful as it was when he wrote and photographed its seasons of light 26 years ago. We wish Greg success with the publication of ATCHAFALAYA AUTUMN II. You may have gathered, by now, that I haven't received my copy of the revised and expanded ATCHAFALAYA AUTUMN, but the brief description in the opening paragraph should titillate you to read Greg's new book. May he sell 100,000 copies – that is, when he takes time to enjoy success. He spends most of his days crawfishing and pulling ancient cypress logs from the swamp country he hopes to save from the encroachments of civilization. He also makes furniture and movies and is a guide for movie crews who film the Basin. One of these days, before I get too old to climb into a boat, I’ll get Janet to take me out to Greg’s stronghold and ask for a private tour, via motor launch, of the Basin he loves so well. There’s nothing ordinary about Darrell Bourque’s poetry. His latest book, IN ORDINARY LIGHT: NEW AND SELECTED POEMS, is an extraordinary collection of poems written during his career as a poet, teacher, director of poetry projects, and as an inspiration for those who love language, particularly the language of poetry. 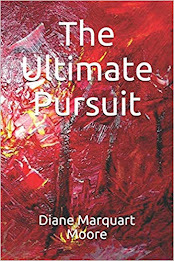 In this collection, Darrell speaks to us in the same manner as he lives his life –a life without dark areas and one that is warm with possibility and brilliance. Like an artist designing a cathedral to allow the light to filter through, Darrell creates images that capture us with their luminosity again and again, reflecting the two components Robert Frost spoke of that are characteristic of good poetry: wisdom and joy. We salute Darrell with two lines derived from his own, “My Father At Bay,” “He is doing what he has to do, / And the sun is still high in the sky.” We know that the poet has many poems and much light yet to share. I’ve written many blogs about my friend, Darrell Bourque, poet laureate of Louisiana, and he continues to amaze me with his formidable gift. Darrell is Professor Emeritus in English and Interdisciplinary Humanities from the University of Louisiana at Lafayette. He has published six volumes of poetry and anticipates the publication of his seventh: HOLDING THE NOTES, a chapbook commissioned by Chicory Bloom Press, which will appear in 2011. Bravo, bien fait, mon cher ami. When my daughter Elizabeth, who lives in Palmdale, California, visits me in New Iberia, Louisiana, we make an annual pilgrimage to St. Martinville, a small town approximately ten miles down the road from us. She goes down to get her yearly “fix” of baked goods from Dana’s Bakery, one of the oldest bakeries in Acadiana. Yesterday, we made this trip on Hwy. 31, a road pockmarked with holes created by cane trucks which transport their heavy loads of cane to nearby sugar mills. It was a typical Louisiana afternoon -- the sky threatened rain and dark clouds hung over us, as if any moment we would ride into a cloudburst. I told Elizabeth that my favorite description of Louisiana is: “looks like it might rain,” which doesn’t mean that rain will actually fall. The appearance of the sky in Sewanee, TN, my second home, has this same appearance, and I sometimes refer to it as Graytown. I also take my grandchildren to St. Martin de Tours Church in St. Martinville when they visit, and we light candles for their families. Although we aren’t Roman Catholic, the old church has been a place of miracles for me. Each time family members have undergone serious crises, I travel down to the church and offer up prayers, then light candles for the suffering family members… and usually their problems are resolved. St. Martin de Tours is called “the mother church of the Acadians,” and was probably the church of choice for the descendants of one of my ancestors, Pierre Vincent, a cattleman who came to Louisiana after he had been exiled in Europe following the Grand Derangement from Nova Scotia. St. Martin de Tours, a lovely crème and white structure built in 1836, is the fourth oldest church in Louisiana. It’s filled with light and has white walls and “gated” white and tan pews which Acadians once reserved for family members. In 1790, Fr. George Murphy, an Irish priest, associated the church with the patron saint, St. Martin, and a portrait of this saint hangs behind the main altar. The very ornate baptismal font and sanctuary lamp are said to have been gifts from King Louis XVI of France. Joel, fascinated with the statues, dutifully lit his candle for his other grandmother (who is now dying). 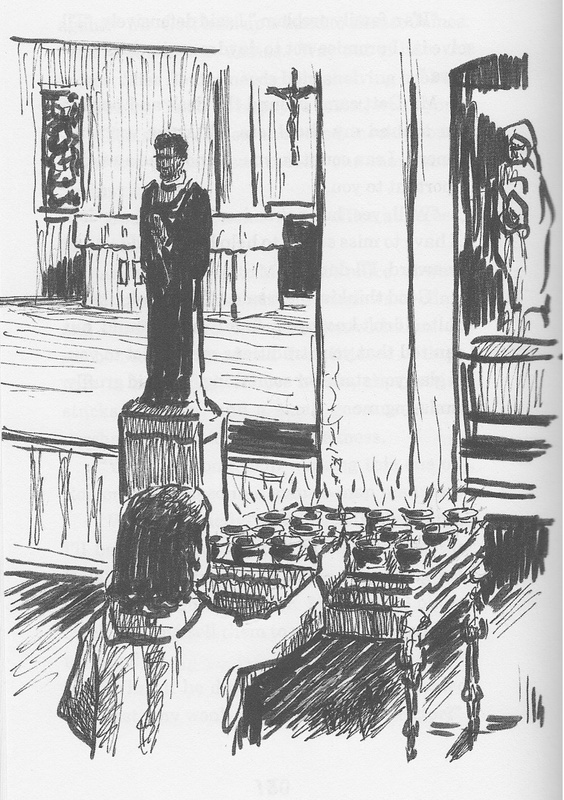 He was awed by the fourteen white columns leading up to the main altar and the beautiful stained glass windows. However, he seemed to be more fascinated with the old gravestones, including the one of Evangeline (who was really Emmeline Labiche), subject of Longfellow’s lengthy poem of that title. After a visit to the interior, Joel walked around the church yard, reading the dates on the graves. I remember being fascinated with cemeteries when I was his age, and although this may seem morbid, I think he, like I, was trying to imagine how people looked and acted centuries ago. I mentioned St. Martin de Tours in my book, MARTIN’S QUEST , in which Grandmother Eulalie goes down to the church and lights candles for Martin’s ailing father, then requests that Fr. Meaux perform a Novena for him. Joel is too young to enjoy MARTIN’S QUEST, but someday he’ll be able to say that he visited the authentic site of one of the scenes in his grandmother’s book about traiteurs. Last year before we departed from New Iberia, Louisiana for Sewanee, Tennessee, we drove over to Franklinton, Louisiana, my birthplace, and visited with my Aunt Eleanor and Uncle George. I came away from that visit feeling that I might not see my beloved aunt again. Three days ago, she died. I am deeply saddened at her passing, but I have some wonderful childhood memories of her that give me solace and feel the satisfaction of having enjoyed an “authentic” aunt, the kind you read about in novels who take over when mothers sometimes fall short in their maternal role or when they need a break from mothering during the summers or during family crises. Aunt Eleanor Ruth Brown (and I always referred to her using all four words instead of two) lived in a small southern town in which I spent seven short years of my life, between the ages of 11-18. The town of 3500 people, about 60 miles north of New Orleans , was established in 1819. My great-grandfather, Lawrence Dade Greenlaw, built a Victorian home with a cupola on its roof on 10th Avenue in Franklinton during the early 20th century. The old home is now on the National Register of Historic Places and remains a handsome middle class residence that my Grandfather Paul inherited after Lawrence Dade died. It is the place to which my family migrated after my father uprooted us for a summer-long journey called “Going to Diddy Wah Diddy,” a camping trip to California that he announced would last the rest of our lives because we were going to become gypsies. At 11, I felt vast relief when he turned around in Los Angeles and took us back to Franklinton where he bought a small home. Before we moved into it, I spent a lot of time with Aunt Eleanor, sleeping in her bedroom at night and learning about the art of applying make-up, getting the skinny on the boys in Franklinton who would be eligible as boyfriends, and learning how to feel secure in the bosom of a family that was free of wanderlust and my father’s “craziness,” as my Grandmother Nell called his yen for adventure. My first curls were coaxed into being by my Aunt Eleanor who painstakingly pinned up my straight hair with bobbie pins, rolling the curls so tightly that my scalp burned for hours after she twisted the hair around pins. She was devoted to this process for years, attempting to make me feminine looking to match the sash-tied dresses my Grandmother Nell made for me on an old pedal-operated Singer in a back bedroom. Aunt Eleanor and my Aunt Kathryn spent hours worrying about my lank hair, and in many photographs of me between the ages of 7 – 13, I appear with my hair pinned down with black bobbie pins, a frown creasing my forehead because I had been subjected to this hair-curling operation. Aunt Eleanor was the Santa Claus for all of us on Christmas mornings when we spent the holidays at my grandparents’ home. She always had a book of some kind for me under the tree and became one of my coaches in literature, although her first books to me were penned by Johnny Gruelle, author of the famous Raggedy Ann and Raggedy Andy series. Later, she gave me used volumes of the Outdoor Girls series. 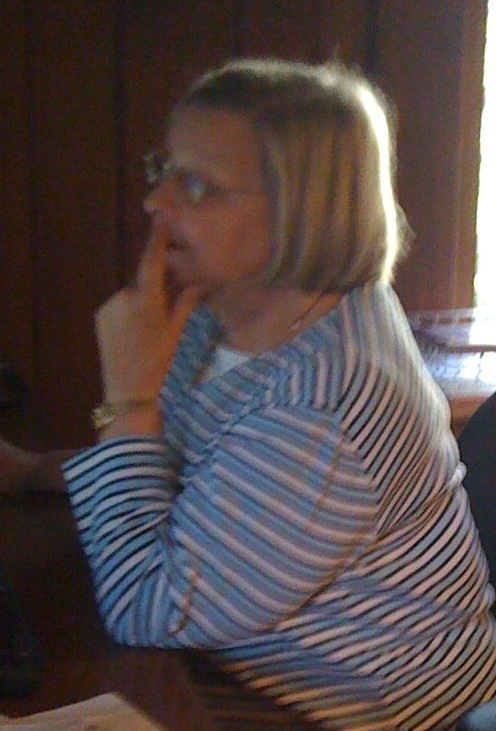 She loved history and was the family genealogist, providing, with pride, many of the stories about the Greenlaw family and collecting photographs dating back to the days when my Grandfather Paul and Great-Uncle Ed Greenlaw owned a lumber business, then entered the transportation business. She told me about the time my grandfather, a civic leader in Franklinton, established the first fire department in town and about the famous radio room in the old Greenlaw home that was destroyed by lightning (Grandfather was registered as owning radio Station KFLD back in 1924). One of Aunt Eleanor’s failures with me involved an attempt to convert me to the Baptist religion. I am a cradle Episcopalian, and I think that my Grandmother Nell and my aunts felt that I belonged to a heathen religion, so Aunt Eleanor took on the project of bringing me into a real Christian fold. She’d roll my hair extra tight on Saturday nights, dress me in a white dress on Sunday morning and take me down to the First Baptist Church where we sat on leather-bottomed seats that resembled those in a movie theatre. After two or three hellfire and damnation sermons delivered by Brother Albritton (who had two boys Aunt Eleanor deemed worthy of my attention), I began to decline her invitations to attend and only my mother’s intervention saved me from a second night of revival where I was urged to go down the aisle to be saved. I kept glancing at the mural of a river behind the baptismal bath and was terrified about the idea of immersion. I ran from the church following the first night of preaching at this revival and haven’t attended a southern Baptist service more than twice after that experience. Aunt Eleanor was disappointed but when I became archdeacon of the Episcopal Diocese of Western Louisiana, she was one of the first in the family to tell me, “I am so proud of you.” She could have added, “although you do belong to a heathen church,” but she didn’t. Aunt Eleanor always bought or asked for copies of my books and wrote letters to me in which she said I was the latter day literary figure in the family, declaring each of my books “the best one yet.” When CHANT OF DEATH, my latest mystery, came out in August, she was one of the first to order a copy from Pinyon Publishing. Usually, several months after she purchased or received a copy, she ‘d pen a glowing letter of appraisal, and some of those letters were good enough to use as a blurb on the back cover of the book. I never received her appraisal of CHANT. She had begun to complain of not being able to use a pen very well, so I know that this prevented her from giving me one of her well-written literary reviews. She was actually the most literary of the Greenlaws of her generation (several Greenlaws have written textbooks about literature) and knew the classics better than I, but she also liked a good “read,” of the contemporary ilk. During my last visit with her, she asked me to take away any of the books in her house I wanted. This threw up a red flag for me, as if she had some prescience about her death. I told her that my own bookshelves in both New Iberia and Sewanee were filled and overflowing, thinking that if I took them, I might not see her again. to entertain me on an icy winter day. lined her pale eyelids in black so perfectly. yanked my hair in anger that would quickly dissipate. waiting for the old Southern to bring her home to me. P.S. As I was writing this, the telephone rang, and Uncle George asked me to deliver her eulogy tomorrow, and much of what I will say is herewith contained. At lunchtime yesterday, on the return trip from Florida, I tired of reading aloud from PEOPLE OF THE LIE (an arresting study about what human evil really is) by Scott Peck, and we veered off course to the little town of Abita Springs , Louisiana, population 2000. It’s known as part of the “North Shore,” an area near Lake Pontchartrain that includes Slidell, Covington , Abita Springs, Madisonville, and Mandeville, Louisiana. We had sampled the cuisine of the Abita Brewing Company Restaurant several times during the past ten years and had enjoyed the fare, as well as a tour of restored buildings that had been constructed during the early 20th century. Abita Springs’ claim to fame is a microbrewery where beer is brewed with the pure water from artesian springs in the town, then bottled and distributed throughout the U.S. It’s also the site of the Abita Springs Opry , an organization that presents and preserves music with Louisiana roots in six concerts yearly, performed by musicians from every corner of our country. We ate at the Abita Springs Café across the street from the restored Trinity Evangelical Lutheran Church, a white clapboard building constructed in 1905. The day was filled with sunshine and white clouds, and the temperature hovered around 70 degrees so we ate outdoors where salespeople with real estate brochures and notebooks sat at small, cafe tables, chatting with clients. The town is undergoing a resurgence of interest in Victorian cottages and turn-of-the-century houses, and unlike other areas of the country, it seems to be enjoying a real estate boom. We sampled the roasted pumpkin/eggplant soup but were told emphatically that no oysters or shrimp were available. Since I developed an allergy to shellfish back in the 80’s, I had no interest in any of the dishes made with this delectable seafood, but I was dismayed about the non-availability of shellfish. The absence of seafood could only mean that nearby waters of the Gulf of Mexico had been contaminated, and the BP spill had affected oyster communities in Lake Borgne, a shallow bay of oyster reefs bordering the Gulf of Mexico. I surmise this because abundant seafood, including oysters and shrimp, was once served daily in restaurants at Abita Springs because of the town’s close proximity to Lake Borgne and Lake Ponchartrain. Lake Ponchartrain consists of 5,000 square miles and is located on the northern edge of New Orleans; thus the origin of the name “The North Shore,” which designates communities in this vicinity. I recalled family outings when my father and mother fished and lowered crab nets from the Lake Ponchartrain bridge which stretches across this large lake. The lakes that border the Gulf of Mexico have always provided catches from the sea, both for commercial and recreational purposes, and we couldn’t bring ourselves to travel further down to view the altered shores and waters in this area. became its own natural enemy. in a soft ooze of sorrow. feeling the coastal wind on his face. shaped like the ribs of a fallen oil rig. Back in the late 80’s I submitted a short story to Ernest J. Gaines and was selected to be one of a dozen members in his Creative Writing class held at a university then called USL, the University of Southwestern Louisiana in Lafayette, Louisiana. It was a memorable time in my life, and Gaines became one of my writing mentors. Only a few years prior to the class, he had been invited to become resident writer at USL, and a home near the campus had been bought especially for him. 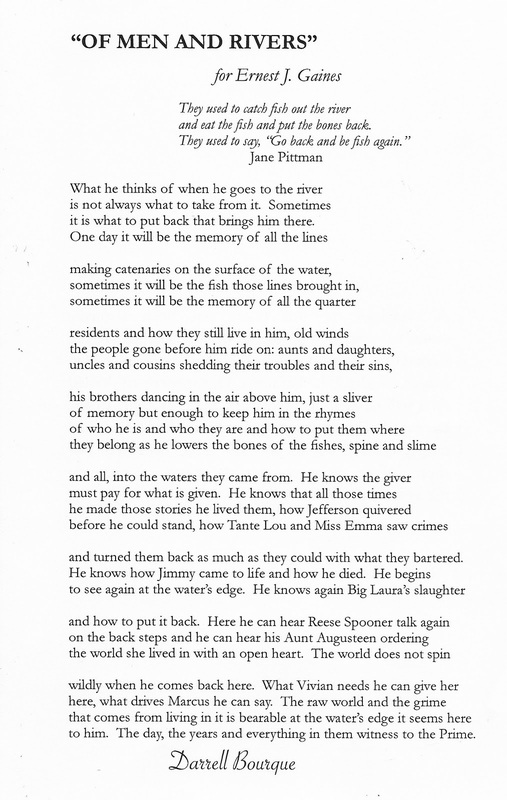 At that time, Gaines had gained acclaim as the author of The Autobiography of Miss Jane Pittman and was working on A Lesson Before Dying. “It is going very slowly,” he remarked to our class. “But I believe you must make every word count.” I learned a major lesson during that semester I sat in his Creative Writing class–his favorite instruction was: “revise, revise, revise.” He instructed us in basic word pruning, saying that even the word “the” could be inserted or omitted in the appropriate place and would make a difference in a good sentence. He also told us that if he read the first few sentences of a story or a novel and they didn’t impact him, he had reservations about the quality of writing. Yesterday, I attended the dedication of the Ernest J. Gaines Center in the Edith Garland Dupre Library at ULL (now the University of Louisiana at Lafayette), and following the ceremonies I re-introduced myself to Gaines. It was a brief encounter in a long line of hundreds of people who congratulated him for his lifetime achievements. “I remember you,” he said simply as he clasped my hand. When I told him I was still writing, he smiled and said, emphatically, “Good!” Someone had already begun pushing me to step aside as Gaines said those words, but it was a pleasant exchange with an author who had inspired me to become serious about writing as a vocation (even if my genre was poetry and he had said that “poetry writing was often just work for little old ladies.” It was a jest because he knew I wrote poems, and at the time I was in my mid-fifties). Gaines has put down his pen and recently voiced that he has nothing to say except what he says about rescuing and maintaining the old cemetery in which his ancestors are buried on the plantation he helped work as a child. 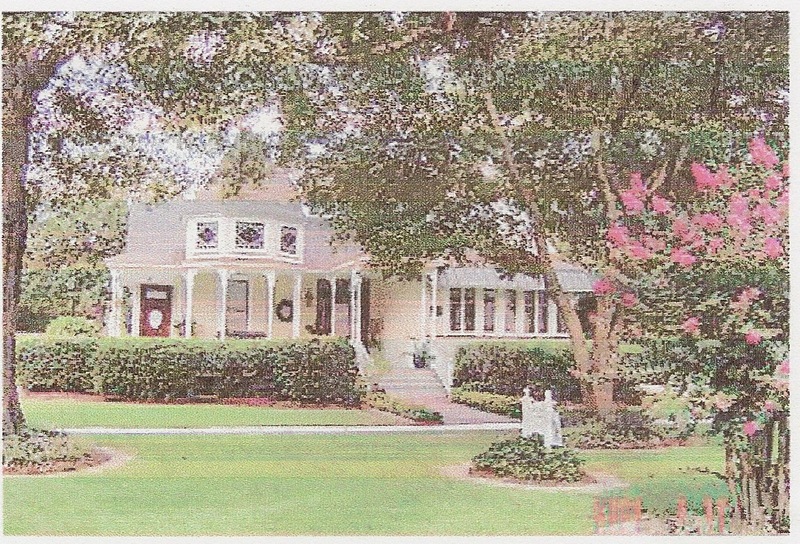 Gaines and his wife Dianne now own a home on the Riverlake Plantation property . He told us that if he hadn’t heard stories about and from the Afro-Americans (he uses the word “colored” without self-consciousness) of Louisiana who peopled his life, he would have had nothing to write about and that he wanted his epitaph to read “To lie with those who have no mark.” His relatives who are buried in that graveyard include his disabled Aunt Augusteen Jefferson who raised him. He often mentioned her in our Creative Writing class, telling the story about her having to crawl all over the kitchen floor to prepare meals for him because she was unable to walk. Gaines responded to the accolades given by UL Lafayette President, Charles W. Triche, III, Dean of Libraries, and Marcia Gaudet, Director of the Gaines Center and the showing of a short film entitled "'An Obsession of Mine': The Legacy of Ernest J. Gaines” with typical humility, reading the response in his soft-voiced, rhythmical style that characterizes his writings about the people of his childhood. Since he lived in California a large part of his life and had joint residences in both Louisiana and California, he relied on his amazing memory to create stories of compelling pathos about the characters in his past. In a response that deeply moved his audience, he related his rise from an impoverished black in rural Louisiana to become “the luckiest man in the world,” telling the story of his success without a trace of self-pity or rancor. In the Creative Writing class of which I was a part, I remember that Gaines told us he was often criticized during the time of the Civil Rights movement for not being militant, but he felt that, for him, recording his wonderful stories about his relatives and friends who struggled through the hardships of a plantation economy was more important than marching or writing militant prose. 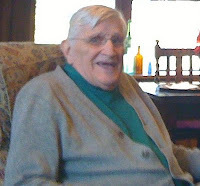 My favorite among his books is his first novel, Catherine Carmier, a romantic novel that he wrote when he was 17 and burned after a New York publisher rejected it, later re-writing it and enjoying the success of publication. 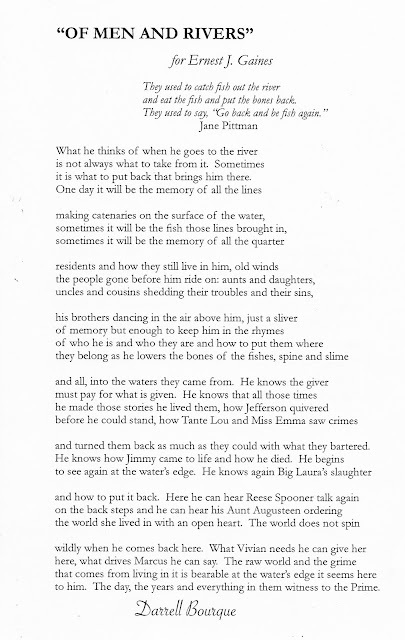 A broadside, 14” by 20”, of this poem, was created by Kevin Hagan of the UL Lafayette Department of Visual Arts and is a permanent piece in the Center. Those who attended the ceremony received a copy of Darrell’s poignant tribute to Gaines. The Ernest J. Gaines Center at ULL is an international center for scholarship on Ernest J. Gaines and his work. Gaines’ papers and manuscripts will be housed there, as well as awards, artifacts, and memorabilia. The Center will also collect materials on Gaines and his work, and it will be the only complete collection of Gaines scholarship in the world. The Center has begun a fundraising campaign to establish an endowment, and those who want further information about the Ernest J. Gaines Center or instructions about how to contribute to this campaign can do so at http://library.louisiana.edu/Gaines or e-mail Director Marcia Gaudet at ejgc@louisiana.edu. I rarely discover contemporary novels that combine intellectual ideas with intriguing human relationships, written in a readable fashion, but I recently read an intriguing novel by Gary Entsminger and Susan Elliott of Pinyon Publishing which combines science and mysticism with the story of humans struggling to work out their destiny in our mysterious universe. OPHELIA’S GHOST (2008) was written by the publisher and designer of CHANT OF DEATH (a mystery co-authored by me and Isabel Anders, published this year). I was fascinated from start to finish with this compelling read which features an anthropologist, Eva, who goes missing from her camp in the southwest U.S. while she’s researching the Anasazi, a native American culture that disappeared from the U.S. during the 14th century. Her tracker, Joe Hill, with the aid of a field notebook, takes us on an incredible journey that includes UFO’s, Einstein, parallel universes, Shakespeare, Jung, the lost continent Atlantis, astronomy, and psychic consciousness, woven into a complex mix of disciplines and written by authors who are expert at capturing intellectual ideas without lapsing into pedantic prose. These ideas are presented within the construct of a broken relationship between Joe, the tracker and his former wife, Esperanza, a healer who used native-grown herbs to do her work, and his devotion to their daughter Nina who performs in "Hamlet" ( a fitting enactment by the immortal Shakespeare in this story of eternal ideas). Nina introduces the reader to ghosts and questions about reality. The authors use the device of Eva’s field journal to carry us into the world of divine knowledge, astronomy, and memory work, interspersed with speculations about the moon’s control over earth dwellers, and pictographs. Their prose is highly accessible and suspenseful as they convey the abovementioned complex ideas, and the reader is beset with moments of wonder and wondering. --You’re saying that the Egyptians believed in spaceships? --Nope. I’m not saying that exactly, but I’m also pretty sure that no one in our lifetimes, at least in mine, will ever be able to convince everyone about what went on with ancient cultures. Some historians think the Pharaoh journeyed to a launch site. And that’s not my claim, but a prestigious scholar’s who studies these things very seriously. Tantalizing? Yes, and at the conclusion of OPHELIA’S GHOST, we’re left still wondering about Eva’s disappearance, pondering the idea of ancestral control and just how far the Collective Conscious can take us in this life where we pass from world to world in a breathless spin via “ghosts.” We close the book, asking with the authors, how long have we been here? (p. 94 of OPHELIA’S GHOST). This is cosmic mystery at its best, and it makes me even prouder that CHANT OF DEATH was published by the two intelligent authors with eclectic interests who created the magic of OPHELIA’S GHOST. Ten days ago, after leaving Sewanee, Tennessee, I celebrated an auspicious anniversary in my life. 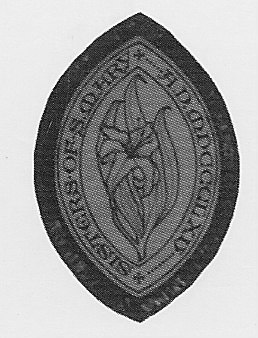 On October 16, 2008, following my retirement, I became an associate of the Order of the Sisters of St. Mary, a religious community based at Sewanee that has made a significant difference in my life on The Mountain. It is there that I was given the space to worship and pray freely without worrying about church program and organization and my place in the hierarchal order of ordained clergy. I didn’t become free from responsibility because in order to become an associate, a candidate must follow a discipline created after the example of the Benedictine order, adhering to it for a year before being installed as an associate – regular prayer, attendance at chapel services, participation in the life of the community, charitable giving…a discipline that covered two pages of my personal rule. 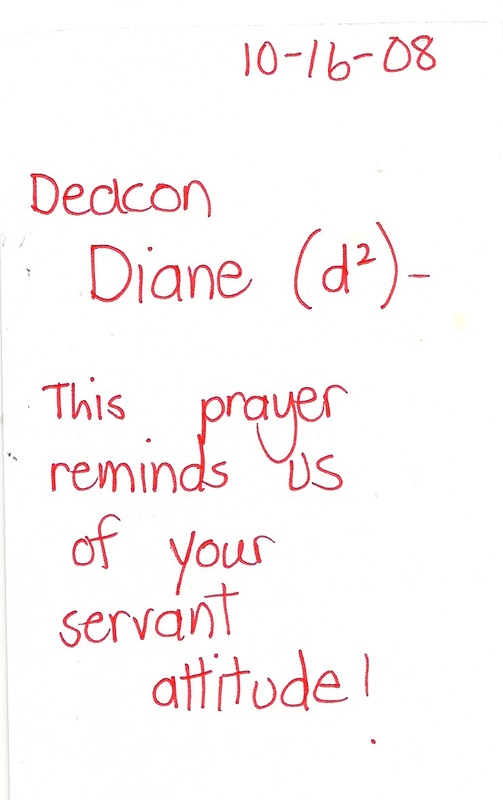 I miss Tuesday Morning Prayer and Eucharist (held at 7 a.m.) and the wonderful Sunday services with a community of approximately 30 – 40 people on Sundays, the community breakfasts with eight Sisters who have become my spiritual sisters for life –The Rev. Sr. Lucy, Sr. Miriam, Sr. Elizabeth, Sr. Mary Zita, Sr. Martha Mary, Sr. Madeleine Mary, Sr. Margaret, and The Rev. Sr. Julian. And then there’s the formidable presence of The Rev. Dr. Susanna Metz who delivers Tuesday morning homilies – a tall woman dressed in swirling silk dresses who celebrates Eucharist in her bare feet – and, I am pleased to add, who is a candidate for bishop in the Episcopal Diocese of Northern Michigan. Each of these people have influenced me profoundly with their individual ideas about the contemplative life and have challenged me to evaluate how well I’m living my life according to the purpose for which God created me. And they’ve done this, not with false piety, but amid much laughter and table talk, as well as within a silence as deep as that of the gray stones of the chapel walls. Some Sundays I preached and assisted on the altar at St. Mary’s, and I’ve also preached at one of their “missions,” Grace Fellowship Church, which is located near the Convent. clinking against china on our porch table. ears raised at each forkful. After spending several days on house repairs and yard maintenance during resettlement in New Iberia, the urge for a change of scenery overcame us, and my botanist friend Vickie decided to drag me along on a search for a plant that grows in nearby St. Martin Parish. She has included a write-up about this plant in her book WHY WATER PLANTS DON'T DROWN, which Susan Elliott of Pinyon Publishing is now illustrating. After lunch, we boarded the Honda and set out for Lake Martin where she had collected specimens of this plant during her career as a professor of botany at the University of Louisiana in Lafayette. I’ve written about Lake Martin in other blogs, but the subject of hydrilla plants has never come up. “It’s a wonder it didn’t turn your boat over,” I said, and he shook his head. “Lucky, I guess,” he answered. He looked quizzically at me standing there on the dock with the sun turning my white hair even whiter, dressed in pedal pushers and a t-shirt, and asked, “You from around here? “ The question was more like “What are you doing out here?” but I wasn’t offended. I did look out of place. “For about 45 years,” I told him. He looked relieved that I wasn’t a “come here,” and showed me how his trailer tires had become entangled in “some kind of seaweed” as he pulled it out of the water and onto the boat ramp. 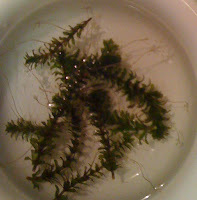 At the time I didn’t know that it was hydrilla, the plant for which Vickie had been searching. Hydrilla is an aggressive water weed that invades water systems and drives away all native and introduced aquatic plants. It survives under lower light conditions than any other species and grows beneath other plants, making it able to live at greater depths. Because it can use low light, it starts photosynthesizing earlier in the day than other plants and captures most of the carbon dioxide that enters the water during the night. The plant is 93-95% water so it can make large volumes of biomass using very few resources. In the summer, it grows rapidly, doubling its biomass. Then it branches as it approaches the water surface and fills the water column up to 20 feet deep, shading out other plants. In California, hydrilla infested an irrigation canal so densely that the water backed up over the banks and ran down a hillside. Hydrilla mats can damage dams and power plants, and interferes with boating and fishing. It can also decrease fishing stocks. In the case of the fisherman to whom I talked, his truck tires spun on the water plants washed up on the boat ramp. Only with the help of another fisherman did he get his boat out. 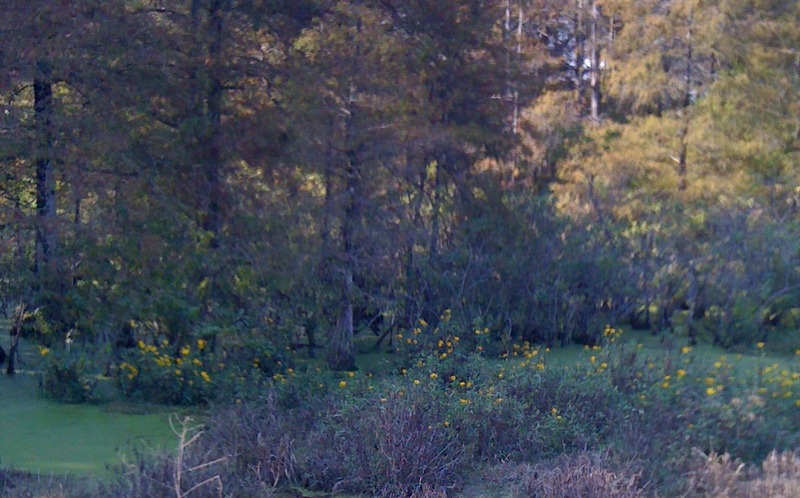 Among the sights I saw: a mosquito as large as a small dragonfly that landed on the rearview mirror of the Honda; a yellow/gold willow tree glistening in the sunlight, a grove of lotus, and muddy water surfaces covered with duckweed and mats of large yellow flowers called burr marigolds. As we followed the dusty road to the end of the lake, we saw a long Joe boat filled with eight people who had been cruising on a swamp tour – they’d probably been looking for ‘gators, one of which Vickie spied (and I urged her on) as we sped away with a plastic bag filled with hydrilla specimens. We got lost on the way home. As a school bus passed, we saw “St. Martin Parish” painted on its yellow side. “Hay la bas,” I hollered, “we’re near St. Martinville. 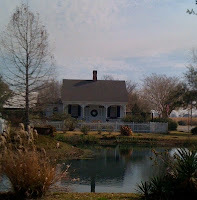 “ And suddenly we emerged in St. Martinville, no thanks to the old Louisiana map I had unearthed that had a hole smack center in the area we were traveling. That’s the way we usually travel – lost – but we find serendipity along the way. And the hydrilla? It was still green and perky when we reached home; however, I am advising Vickie not to throw it in the coulee behind our house or the drainage ditch will be overcome by this plant, which looks like an ominous caterpillar that lured us outdoors today. Right now, it‘s drifting in a small white cereal bowl in the kitchen. Did I say that it captures most of the carbon dioxide during the night? And what about our oxygen?